I love these gorgeous animal prints from a Victorian, 1885 natural history book. 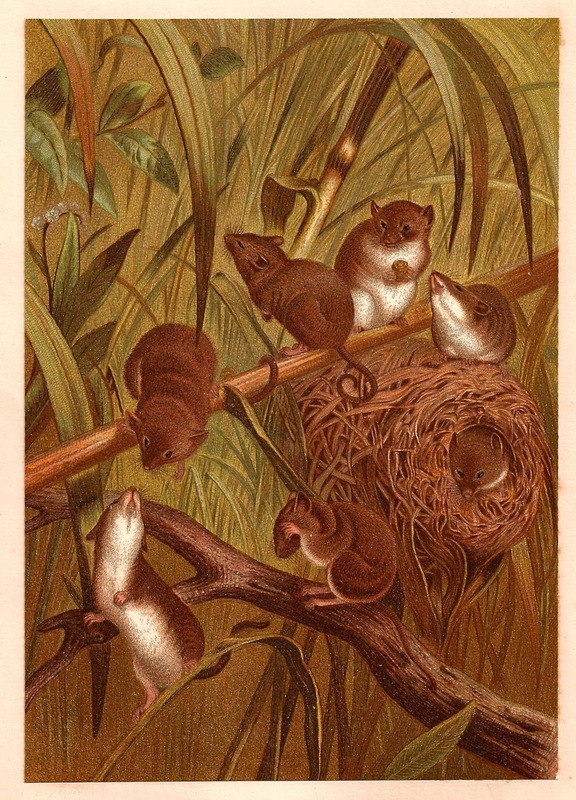 This animal illustration is of Harvest Mice. 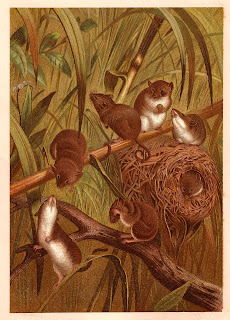 Not only are the colors wonderful, but the seven little mice are all in different poses and presented in many angles. And, one is even drawn in the nest! How cute. The colors are splendid and rich. This would look so beautiful framed. I've posted another lovely print here. I hope you enjoy!